Born in Tulsa, Oklahoma and an enrolled member of the Muskogee Tribe, Joy Harjo came to New Mexico to attend the Institute of American Indian Arts where she studied painting and theatre, not music and poetry, though she did write a few lyrics for an Indian acid rock band. Joy attended the University of New Mexico where she received her B.A. in 1976, followes by an M.F.A. from the University of Iowa. She has also taken part in a non-degree program in Filmmaking from the Anthropology Film Center. She began writing poetry when the national Indian political climate demanded singers and speakers, and was taken by the intensity and beauty possible in the craft. Her most recent book of poetry is the award-winning How We Became Human: New and Selected Poems . It wasn't until she was in Denver that she took up the saxophone because she wanted to learn how to sing and had in mind a band that would combine the poetry with a music there were no words yet to define, a music involving elements of tribal musics, jazz and rock. She eventually returned to New Mexico where she began the first stirrings of what was to be Joy Harjo and Poetic Justice when she began working with Susan Williams. Their first meeting occurred several years before in Blues Alley in Washington, D.C., a hint of things to come. Joy has published in magazines such as Massachusetts Review , Ploughshares , River Styx , Contact II , The Bloomsbury Review , Journal of Ethnic Studies , American Voice , Sonora Review , Kenyon Review , Beloit Poetry Review , Greenfield Review and Puerto del Sol . She has made recordings, done screenwriting, given readings all over the world and is now performing with her own music. Joy has taught at Arizona State University as a Lecturer in 1980-81, at Santa Fe Community College as an Instructor in 1983-84, at the Institute of American Indian Arts as an Instructor in 1978-79 and in 1983-84. She was an Assistant Professor at the University of Colorado from 1985-1988, an Associate Professor at the University of Arizona in 1988-1990 and a Full Professor at the University of New Mexico from 1991-1995. She is currently teaching at the University of New Mexico in Albuquerque. Joy is a member of the PEN Advisory Board and the PEN New Mexico Advisory Board. She has been a member of the Native American Public Broadcasting Consortium Board of Directors from 1987 to 1990, The Phoenix Indian Center Board of Directors in 1980-81, the Coordinating Council of Literary Magazines Grants Panel for the Fall of 1980, the National Endowment for the Arts Policy Panel for Literature 1980-83, the New Mexico Arts Commission Advisory Panel 1979-80 and 1984, and the National Third World Writers Association Board of Directors (which is no longer functioning). Tracks from Native Joy for Real are now available at iTunes. See a video clip of Eagle Song from the Vision Maker Video site. Joy can be heard on the new spoken word CD standing ground. The Academy of American Poets web site has a short biography page available on Joy. 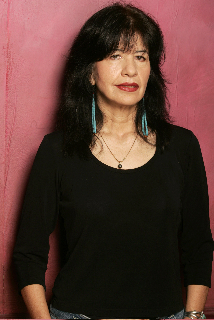 Poetry Magazine featured Joy Harjo in their March 2003 Issue. Joy was named the 2005 Writer of the Year - Film Script by the Wordcraft Circle of Native Writers and Storytellers for the script for A Thousand Roads, 2005 , made for the National Museum of the American Indian. She was named the 2003-2004 Writer of the Year - Poetry for How We Became Human: New and Selected Poems 1975-2001 and the 2003-2004 Storyteller of the Year or her new CD, Native Joy for Real by the Wordcraft Circle of Native Writers and Storytellers. Joy has received the Lifetime Achievement Award from the Native Writers Circle of The Americas. She has also received the 2003 Arrell Gibson Award for Lifetime Achievement from the Oklahoma Center for the Book. 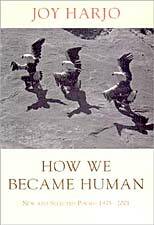 How We Became Human: New and Selected Poems won the 2003 Oklahoma Book Award for poetry. Reinventing the Enemy's Language was a finalist for the Oklahoma Book Award in 1998. In 1995 The Woman Who Fell From the Sky won the Oklahoma Book Award in Poetry. Joy was named Writer of the Year for children's books in 2001 by the Wordcraft Circle of Native Writers and Storytellers for her book The Good Luck Cat . In 1998, Joy received a Lila Wallace-Reader's Digest Fund Writer's Award to work with the nonprofit group Atlatl to bring literary resources to the Native American community. She has received the New Mexico Governor's Award for Excellence in the Arts in 1997. 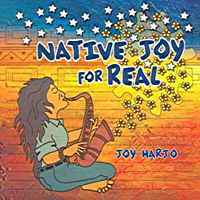 Joy Harjo & Poetic Justice received the Musical Artist of the Year for 1996-1997 for a CD Recording from the Wordcraft Circle of Native Writers and Storytellers. She has received the American Book Award from the Before Columbus Foundation in 1991 for In Mad Love and War , as well as the Mountains and Plains Booksellers Award, the William Carlos Williams Award from the Poetry Society of America for the best book of poetry in 1991, and the Oakland PEN, Josephine Miles Poetry Award in 1991. She Received the Bravo Award from the Albuquerque Arts Alliance in 1996, the Oklahoma Book Award in 1995 for The Woman Who Fell from the Sky , the Witter Bynner Poetry Fellowship in 1994, the Woodrow Wilson Fellowship at Green Mountain College in Poultney, VT in 1993, and an Honorary Doctorate from Benedictine College in 1992. Joy has held National Endowment for the Arts Creative Writing Fellowships in 1992 and 1978, and received the Delmore Schwartz Memorial Award from New York University in 1991, the American Indian Distinguished Achievement in the Arts Award in 1990, an Arizona Commission on the Arts Poetry Fellowship in 1989, and an NEH Summer Stipend in American Indian Literature and Verbal Arts at the University of Arizona in 1987. Her work has been included in the Pushcart Prize Poetry Anthologies XV & XIII . She was named one of the Outstanding Young Women of America in 1978 & 1984. She has taken 1st Place in Poetry in the Santa Fe Festival of the Arts in 1980, the Writers Forum at the University of Colorado, Colorado Springs in 1977 and the University of New Mexico Academy of American Poets Award. Joy also received the 1st and 2nd Place Awards in Drawing at the University of New Mexico Kiva Club Nizhoni Days Art Show in 1976. I discover where giant butterflies burrow and dream. Don't bother the earth spirit who lives here. Two sisters meet on horseback. It's true the landscape forms the mind. The Native Joy website for her music and performances. Joy was featured in the Writing the Southwest radio series. Annotations on 3 of Joy's poems, from the Hippocrates Project at the New York University School of Medicine. We now have a bookshop for those living in Canada or Europe! The Good Luck Cat , children's book, Harcourt Brace. A Map to the Next World: Poems and Tales , W. W. Norton. (Edited by Joy Harjo and Gloria Bird), W.W. Norton. Publisher's page. Fishing (miniature fine press), Oxhead Press 1992. In Mad Love and War , Wesleyan University Press. (Sun Tracks Books, No. 17) University of Arizona Press. Review from the University of New Mexico Women's Studies Dept. The Last Song , Puerto del Sol Press. Catherine Wald (Editor), Persea Books. The Pueblo Imagination , Lee Marmon, with essays by Joy Harjo, Leslie Marmon Silko & Simon Ortiz, Beacon Press. Joni Adamson, Univ. Arizona Press. Kathleen M. Donovan, University of Arizona Press. 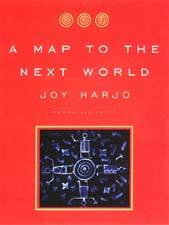 Joy Harjo , by Rhonda Pettit, Boise State University Western Writers Series, No. 133. Lauren Muller & June Jordan (Editors), Routledge. Vera Norwood & Janice Monk (Editors). Interview with Joy in the Heath Anthology of American Literature Newsletter , Number VI, Fall 1991. Family Matters : Poems of Our Families , Ann & Larry Smith (Editors), Bottom Dog Pr. The Compact Bedford Introduction to Literature , Michael Meyer (Editor), Bedford/St. Martin's. September 11, 2001: American Writers Respond , William Heyen (Editor), Etruscan Press. Herbert R. Kohl , Harperflamingo. Patricia Stevens (Editor), Touchstone Books. Elizabeth J. Roberts, Elias Amidon (Editors), Harper San Francisco. Bill Bigelow & Bob Peterson (Editors), Rethinking Schools Ltd. The Practice of Peace , Judith Rafaela & Nancy Fay (Editors), Sherman Ascher Pub. What Have You Lost , Naomi Shihab Nye (Editor), Greenwillow. The Responsive Writer , Jocelyn Siler, International Thompson Pub. Jacqueline St. Joan & Annette Bennington McElhiney (Editors), Northeastern Univ. Press. Kurt Brown, Laure-Anne Bosselaar & Gerald Stern, Milkweed Editions. Poetic Medicine: The Healing Art of Poem-Making , John Fox, J. P. Tarcher . Native American Songs and Poems: An Anthology , Brian Swann (Editor), Dover. Catherine Wiley & Fiona R. Barnes (Editors), Garland Pub. Judith Kitchen & Mary Paumier Jones (Editors), W. W. Norton. Radhika Mohanram & Gita Rajan (Editors), Greenwood Pub. Christina Looper Baker, Christina Baker Kline (Editors), Bantam Doubleday. David Rosenberg (Editor), Bantam Doubleday. Sharon Bryan (Editor), W W Norton & Co.
Cynthia Dubin Edelberg (Editor), Univ. Alabama Press. Stephen Kuusisto, Deborah Tall & Stephen Weiss (Editors), W. W. Norton. Jan L. Richardson, Upper Room Books. The Right to Hope, Global Problems, Global Visions , Earthscan Pub. Poets at Work, Contemporary Poet's Lives. Poems. Process , Betty Cohen (Editor), Just Buffalo Literary Center. Gerald Vizenor & Ishmael Reed (Editors), Harper Collins. Life Studies: An Analytic Reader , DAvid Cavitch (Editor), Bedford/St. Martins. !Saludo! Poems de nuevo Mexico , Jeanie C. Williams & Victor di Suevro (Editors), Pennywhistle Press. Marie Harris, Kathleen Aguero (Editor), Univ of Georgia Press. The Arc of Love , Clare Coss (Editor), Scribner. Lorraine Anderson (Editor), Vintage Books. Literature an Introduction to Reading and Writing ,Edgar V. Roberts, Prentice-Hall. Imagining Worlds , Marjorie Ford & Jon Ford (Editors), McGraw Hill Higher Education. Native Joy For Real , Mekko Productions. Furious Light with Joy reading her poetry can be ordered from the Poet's Audio Center. Heartbeat, Vol. 2: More Voices Of First Nations Women , Smithsonian Folkways. Weaving The Strands: Music By Contemporary Native American Women , Red Feather. Tribal Fires , Earthbeat! Records. Native American Currents , Silver Wave Records. A Circle of Nations , John Gattuso (editor), Audio Literature. Abridged. This is an "official" site in that this page was constructed with the assistance and active collaboration of the poet, Joy Harjo. The website "author" is Karen M. Strom. © 1997-2005 Joy Harjo and Karen Strom.